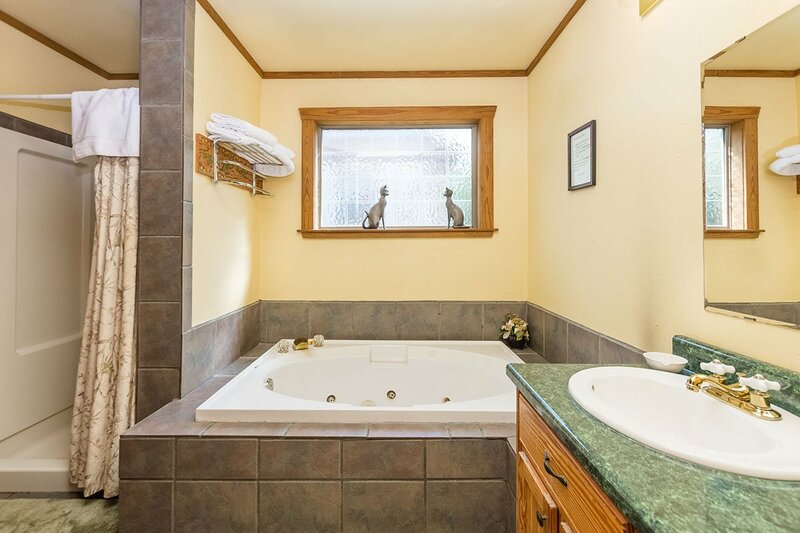 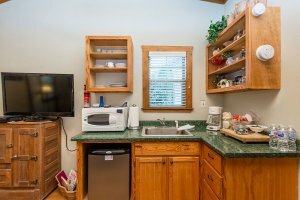 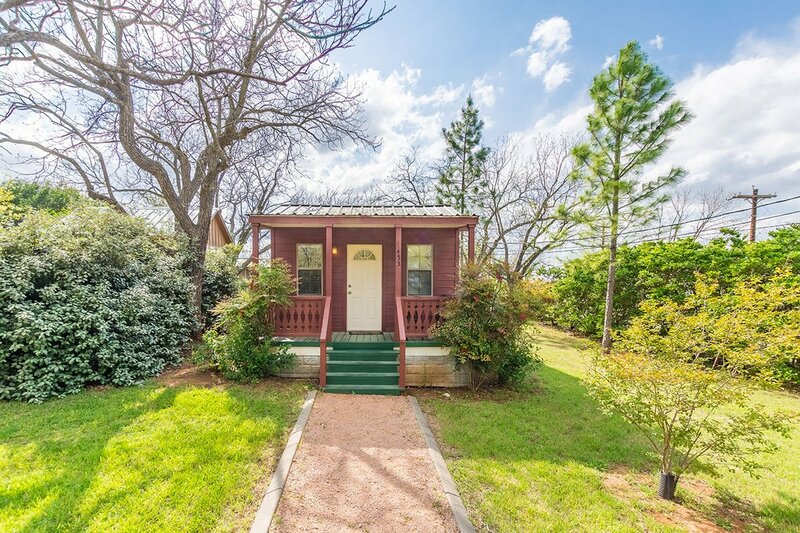 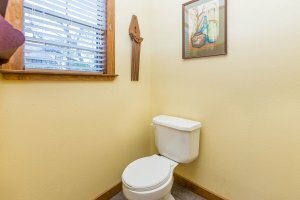 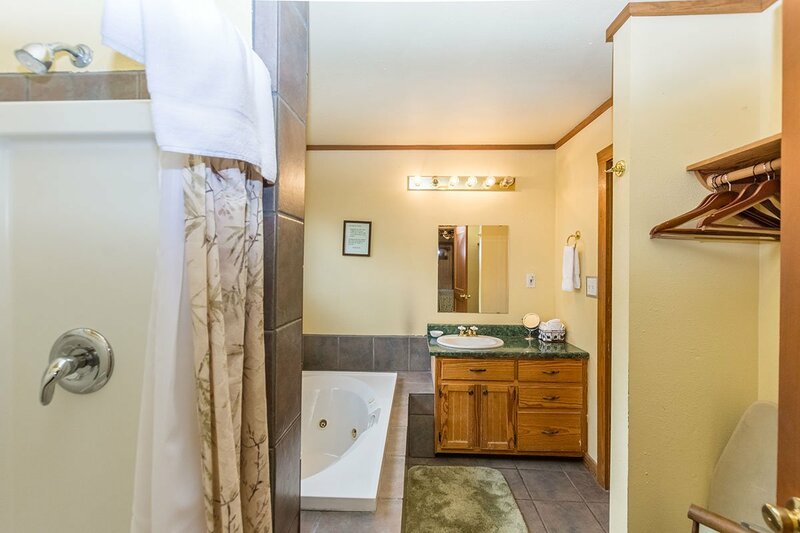 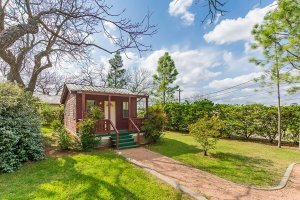 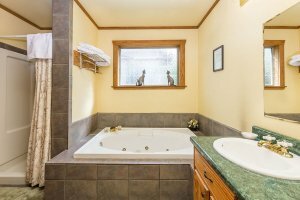 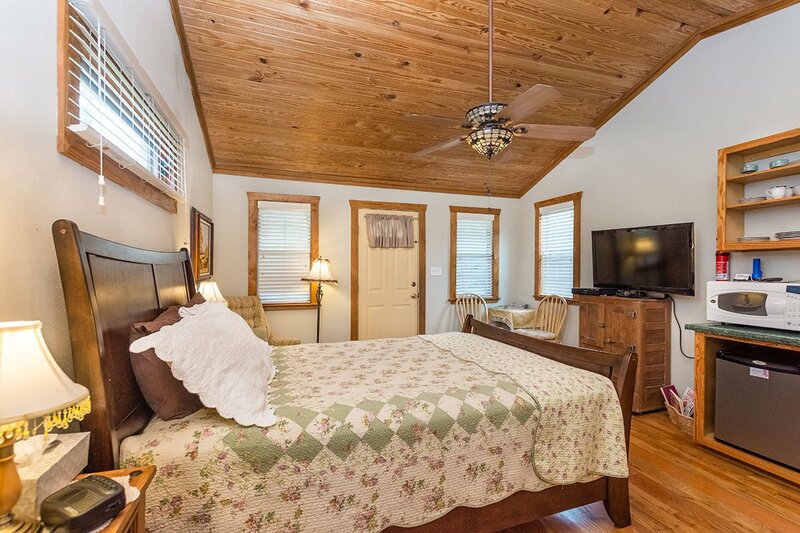 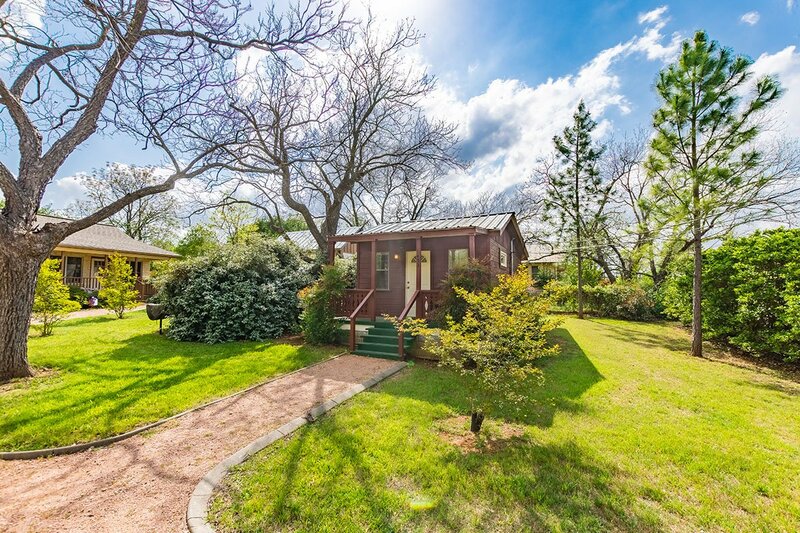 Enjoy all the modern amenities in this neat little cabin, including a deep Jacuzzi Bath Tub. 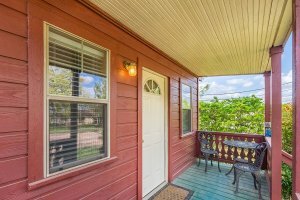 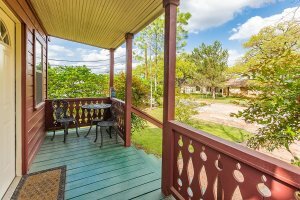 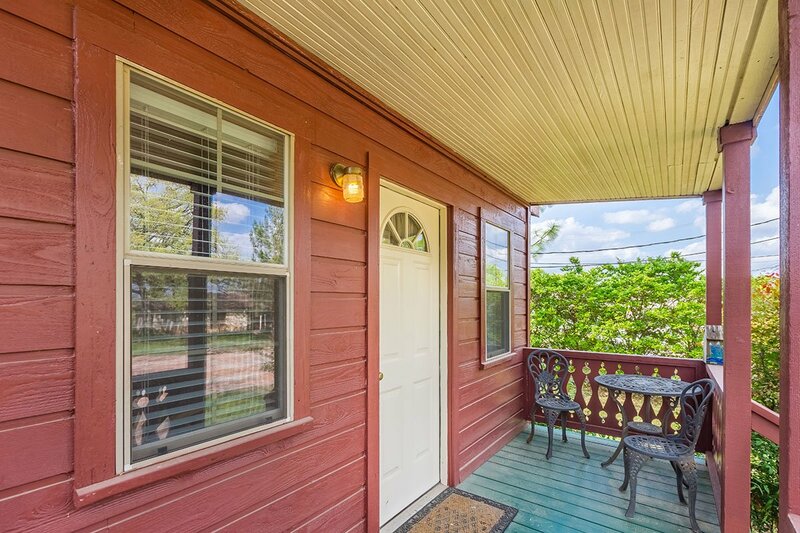 Enjoy your morning coffee on the front porch while looking out on the peaceful view the large shade trees and the big yard create. 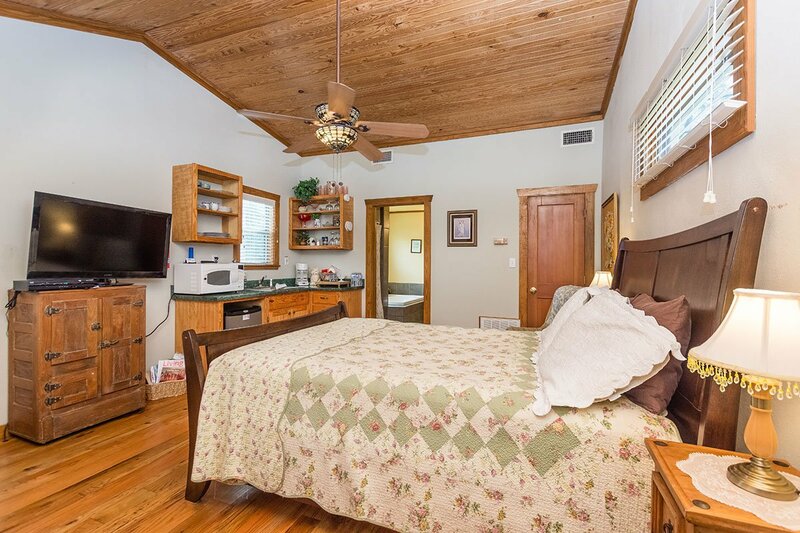 Lounge in the yard or relax in the Queen-size bed inside. 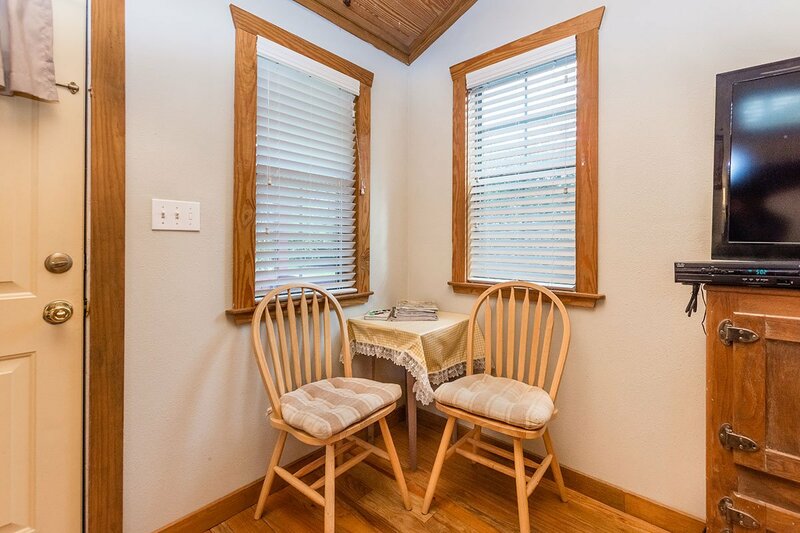 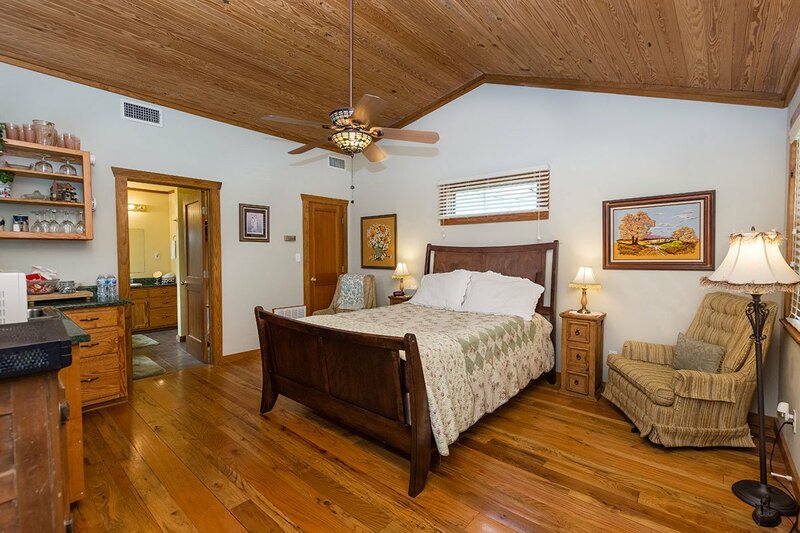 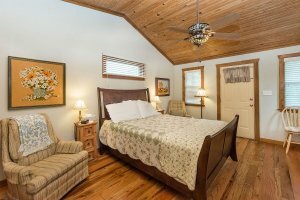 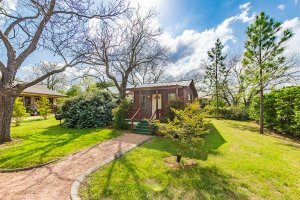 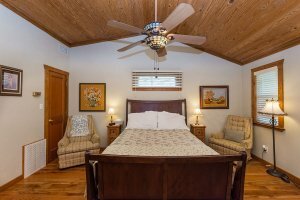 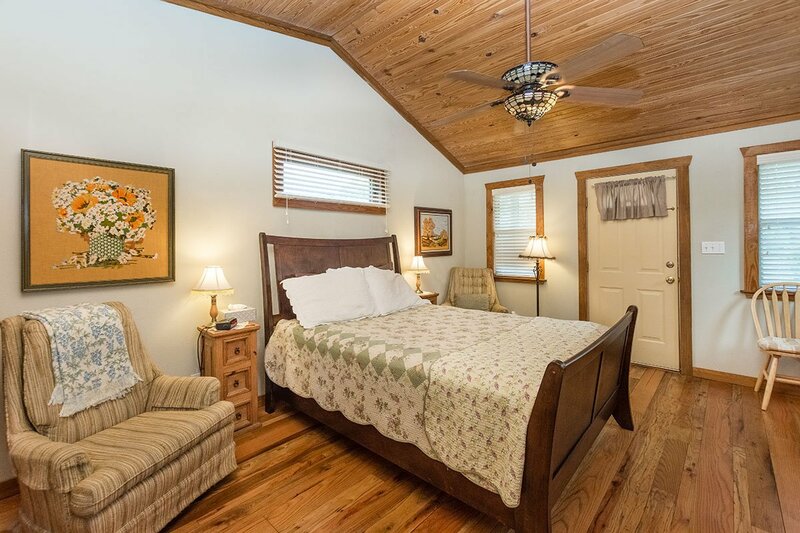 Waldrip Cabin is a centrally located property that is both romantic and tranquil. 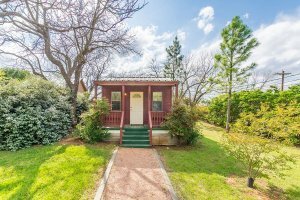 Come and Have Fun!